rodsters, you hit it on the money. Since the combo requires you to generate infinite black mana to cast Conspiracy before you can retrieve the infinite rainbow mana piece Gemstone Array, we can't use Arcane Adaptation. That said, the reason we use Conspiracy over Arcane Adaptation is rooted in my arbitrary obsession with the word Hippogriff. If you replace Razor Hippogriff with Treasure Hunter, you will be able to recur Gemstone Array before casting the card that turns your graveyard into humans. 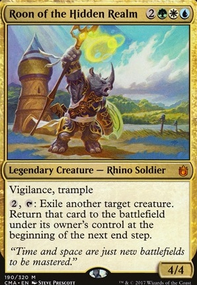 If you use swap Razor Hippogriff for Treasure Hunter and Conspiracy for Arcane Adaptation, you may replace Xenograft with any tutor or cantrip you wish. Austin_Smith_of_Cards thank you for pointing out Solemn Simulacrum i must've missed it when i was looking through my artifacts. For Thopter Assembly i wont add it because this deck is about sacrificing specific things why would i sacrifice 5 thopters when i can sac 5 eggs and get a whole bunch of benefits and since that's the aim of the deck i am almost guaranteed to have fodder for the sieve that benefits me. Ive been thinking about adding Trinket Mage for awhile but since it searches for only 2 cards i decided not to. In the final version of the deck i might add Thirst for Knowledge but i do not own a thirst for knowledge so its not getting added yet. 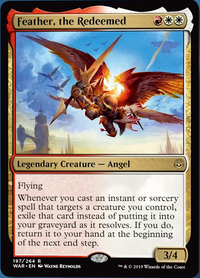 As for Sanctum Gargoyle and Tidy Conclusion i was going to switch Gargoyle for Razor Hippogriff and i like Tidy Conclusion because it destroys a creature and i can gain quite a lot of life. I have a deck that uses all the "swords of" and my favorite creature in it is Kor Duelist. Simon_Williamson on Zurgo Helmsmasher suggestions! I FORGOT THE THE WORLD SLAYER! 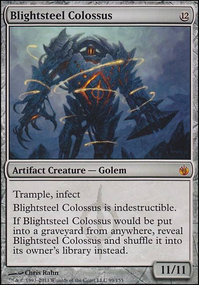 If you want to slow your opponent's down, go then trample with commander damage I'd suggest artifact destruction to trash mana rocks, Vandalblast, Aura of Silence, Disenchant, Devout WitnessA favourite of mine is Nettlevine Blight, and to protect your artifacts I would use Darksteel Forge or resurgence cards like Sanctum Gargoyle Razor Hippogriff Junk Diver and similar cards, good luck. Wizard Mentor needs little explanation. Professor Flitwick perhaps! You could include some spiders from the Forbidden Forest. Courser of Kruphix probably does a good Firenze. Also can include a sphinx since one appeared in the third task of the Tri-wizard Tournament. Can't actually be used, but Stone-Cold Basilisk fits the flavour amazingly well. Sylvan Basilisk might fit the bill. There might be one or two werewolves that would fit Lupin's character. Dazzling Reflection looks a little bit like a patronus. Young Pyromancer has wonderful red hair which may remind you of any member of a certain family. Prodigal Sorcerer would probably fit nicely as a character. The new version could be Harry maybe, or the old version could be ... I'm not sure. Dragon Egg = Norbert the Norwegian Ridgeback! Cabal Interrogator could be someone like Snape or Voldemort who can use Legilimancy. Fiend of the Shadows looks like it might fit for Voldemort. Or something with undying. Include a phoenix to represent Fawkes? Mirror Gallery would fit for the final room in Philosopher's Stone. I'm sure someone can come up with a good card to represent Dobby. Crackdown - No interest. Other White decks are unaffected. I don't like cards that easily end up completely dead. Aurification - No interest. Doesn't actually stop or hinder attacks. Opponents will have no issues attacking with expendable creatures or with an alpha strike. Karn Liberated - No interest. Like with Ugin, Karn is unneeded in White. Worldslayer - No interest. Not a Voltron Equipment. It's only purpose is to slow games to a painful crawl. Basilisk Collar - Always on the fence with it. On one hand, it has great utility. On the other hand, it doesn't help 8.5 with Commander Damage kills or protect him from removal. Empyrial Plate - No interest. With White being the worst at card draw, Plate is too inconsistent. Soltari Visionary - No interest. Enchantment-only removal is way too narrow. Glory - No interest. 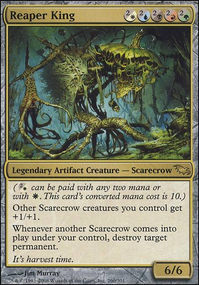 Thought about it once, but it's an underwhelming creature by itself and it's too cumbersome for this deck to get it into the graveyard. Preacher - No interest. Anything that involves an opponent's choice is bad. It will always backfire. Gideon Jura - Used him before for that reason. Wasn't impressed. All of Gideon's cards have the same problem: Lackluster abilities without a worthwhile ultimate to build up to. Condemn - No interest. Completely outclassed by all of the stronger removal available. Razor Hippogriff - No interest. Too much mana to recur an artifact, regardless of the 3/3 flier the effect is attached to. Crackdown and Aurification: Seems like good one-sided annoyances, and even Batterskull has vigilance so it normally does not get tapped. Seems like an excellent defensive card that wards attackers away similar to your Ghostly Prison. Karn Liberated: I like exiling a permanent, and you may get to do it again if it survives, and if it does not, then it saved you from taking some damage. Worldslayer: A big combo with your Darksteel Plate and Bastion Protector. Pretty expensive play/equip though, but Nahiri, the Lithomancer, Stonehewer Giant, and Puresteel Paladin can cheat around those costs. Thoughts? Basilisk Collar: Too underwhelming? It has a cheap play and equip on it. Empyrial Plate: Deadly early game, but seems bad late. Land Tax seems like a good way to keep this running at full cylinders, but maybe too conditional? Soltari Visionary: Unblockable and Demystify on a stick? Seems good, no? Glory: Sweet combat trick that gets easily forgotten in the grave and not too bad for a creature. Thoughts? Preacher: More like a fun card than anything else. Do you not like controlling things, or maybe too many token decks in your meta? It can act like removal at times. Gideon Jura: If you +2 him, then use 8.5 to give him pro white and make the attacking creatures white seems like a repeatable fog. Did you try him before? Condemn: Cheap and effective removal, but only works on the defensive. I took this out because it does not stop the annihilator triggers off of my opponent's eldrazi. 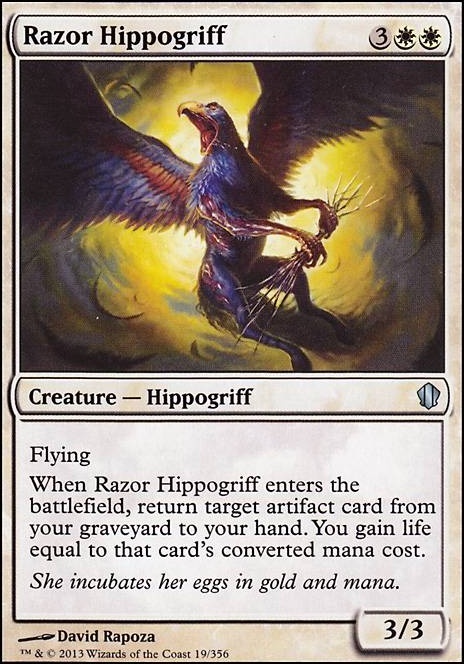 Razor Hippogriff: Seems like an okay recursion for your equipment. does seem like a hefty price compared to your Remember the Fallen and does not hit creatures.